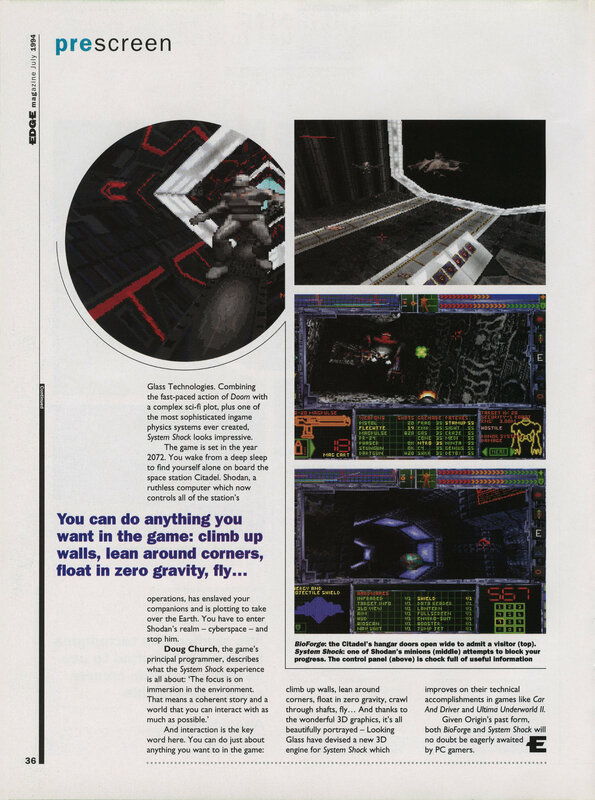 This is a brief combined preview of Bioforge and System Shock taken from the July 1994 Edge magazine. 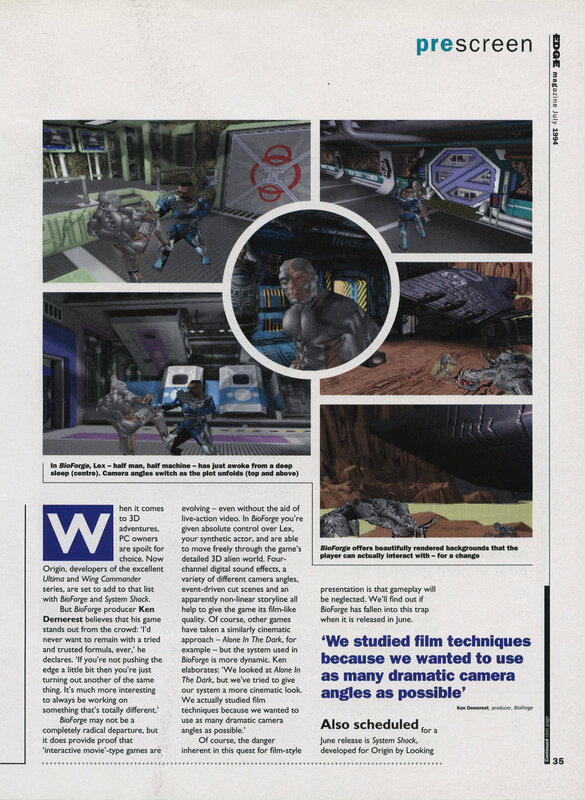 This entry was posted in Bioforge, Magazine Scans, System Shock by Pix. Bookmark the permalink.